Technology is changing the way we live in countless ways. We’re starting to see self-driving cars on the nation’s roadways – and flying cars and cabs aren’t far behind. AI devices like the Echo and Google Home are taking up residence in our homes. The development of e-commerce not only allows us to shop with the click of a button, it also provides us access to an unprecedented selection of products. Those of us who can remember life before smartphones never cease to be amazed. Technology has also had a huge impact on the way we work. The pace at which business is conducted has increased greatly while the possibilities being considered in cubicles and conference rooms have grown in ways we could never have imagined. We have video conferences and collaborate on a global scale. According to Jeff Pochepan, president of the modern office furniture resource Strong Project, technology is also changing the physical environment in which we work. He’s not talking about ergonomic computer desks, Wi-Fi connections or the latest coffee-brewing gadget. “We exist during a time of remarkable technological and manufacturing advancements for office furniture and accessories. These innovations help us rethink and disrupt traditional concepts around work and replace our images of what the office should look like,” he says. In other words, we can now move beyond cubicle farms and the stodgy feel of heavy, ornate wood furniture. The five trends Pochepan is so excited about include taking the greening of the office to new levels. It’s not just about being environmentally friendly, he says. “From rooftop gardens to water features to nature-based wall dividers using bamboo or wood, nature was the name of the game in the context of employee health and wellbeing.” As we move forward, he expects companies to continue the trend by incorporating renewable energy sources, locally sourced food for the lounge or cafeteria – maybe even creating outdoor paths where “walking meetings” can be held. Kuhn Flooring of Boca Raton is proud to offer business flooring solutions that are ideal for today’s greener workplace environments, including bamboo, cork and hardwood engineered flooring. “With the rise of the minimalist office and neutral or streamlined layouts, texture will become one way for a workplace to introduce a playful side,” he says. “Textures heighten the sensory elements of a room, and can summon a nostalgic home comfort in everyday spaces.” In Boca Raton hardwood flooring continues to be a very popular choice for home and business. “I recommend choosing bright colors strategically for filing storage pieces, chair fabrics, accent walls, or floor coverings,” he says. “A little goes a long way.” Kuhn Flooring Company of Boca Raton has an extensive selection of subtle commercial flooring solutions that you may want to consider, including hardwood engineered flooring, that will make the perfect foundation for all those colorful accents. 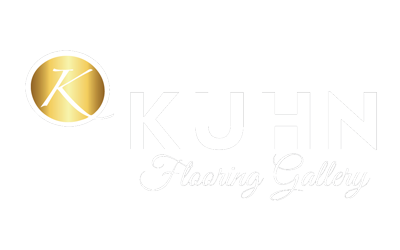 Whether you want to be a trend-setter or not, Kuhn Flooring Company in Palm Beach County has a wide range of business flooring solutions that will fit your style and budget.